PandaTip: The first page of this electrical services agreement template includes sections for contact information for your company and your client as well as a section to list any services included in this agreement. PandaTip: You can customize the template’s pricing table to reflect anything you’re planning to invoice the customer for, such as labor, taxes, or materials. Payment due in full upon completion of the services listed above. PandaTip: The terms in the template below are designed to protect the electrical services provider while remaining fair to your clients. If [Sender.Company] discovers a need for additional time or materials once the work has commenced, [Sender.Company] will seek written approval prior to continuing work. Customer is responsible for providing unmitigated access to the work area. This includes moving any furnishings, wall-hangings, or other items which could prevent [Sender.Company] from carrying out the listed services. All areas of installation will be left in the condition found unless otherwise stated in writing by [Sender.Name]. [Client.FirstName] [Client.LastName] will provide accessible electricity to all working areas including outdoor areas. This includes proving a live power outlet or generator within 150 feet of the working area. Sitework, including demolition or removal of debris, is not included in this electric services contract. PandaTip: Following the terms in conditions in this electrical services agreement contract template are the exclusions. This protects you from certain faults and allows you to list any services not included in this agreement. Where applicable, all work performed under this electrical services agreement will be executed fully in compliance with applicable Building Regulations and the National Electric Code. Where a Client requires deviation from such regulations, a written instruction and record will be required along with written approval from a governing authority. All applicable goods and products installed will become property of the client on date of installation. All goods not paid in full or remaining with customer will be property of the service provider until payment has been made or delivery has ensued. PandaTip: Be sure to customize this section to reflect your company’s warranty policy. [Sender.Company] has, to the best of their knowledge has provided installation and quality parts for overall best quality of product. Furthermore all parts will be warrantied for a 12 month period after installation for any technical defects. 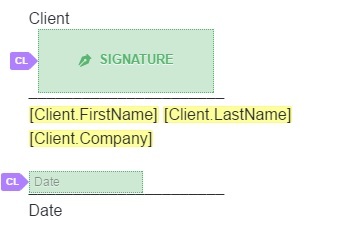 PandaTip: Once this template has been customized to your liking, your client will be able to view and sign the final electrical services agreement draft from their computer, smartphone, or tablet. By signing below, Customer understands and accepts all terms and conditions outlined in this electrical services agreement.